Chinese companies are making billions of dollars by stealing donkey’s from poor Africans. They are slaughtered in huge numbers. So much are actually getting slaughtered that scientist expect no donkey could be left in Kenya in 5 years. 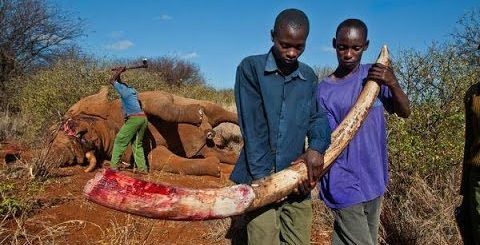 China is slaughtering all donkey’s in Kenya as we speak. Chinese companies like DEEJ are making millions at the cost of poor Africans. 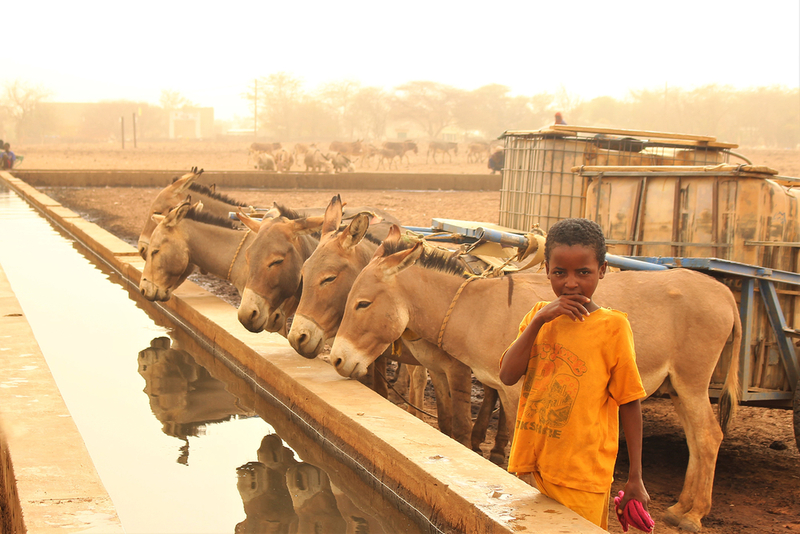 A donkey owner gives his animals healthier food in Ethiopia, where an estimated seven million donkeys are used for transporting water, wood, building materials and people. Dawn was just beginning to break when Joseph Kamonjo Kariuki woke to find his donkeys missing. The villager searched the bush frantically for the animals he depends on to deliver water for a living. But they were nowhere to be found. It was the village’s children who led Kariuki to the ghastly remains. Three bloody, severed donkey heads lying on the ground. “I was in shock,” said Kariuki, who is known in his Kenyan village of Naivasha as “Jose wa Mapunda”. “Joseph of the Donkeys” in Swahili. Kariuki believes his donkeys were the latest victims of a black market for donkey skins. These skins are a key ingredient in a Chinese health fad. Which is threatening the beasts of burden many Africans rely on for farm work and transporting loads. 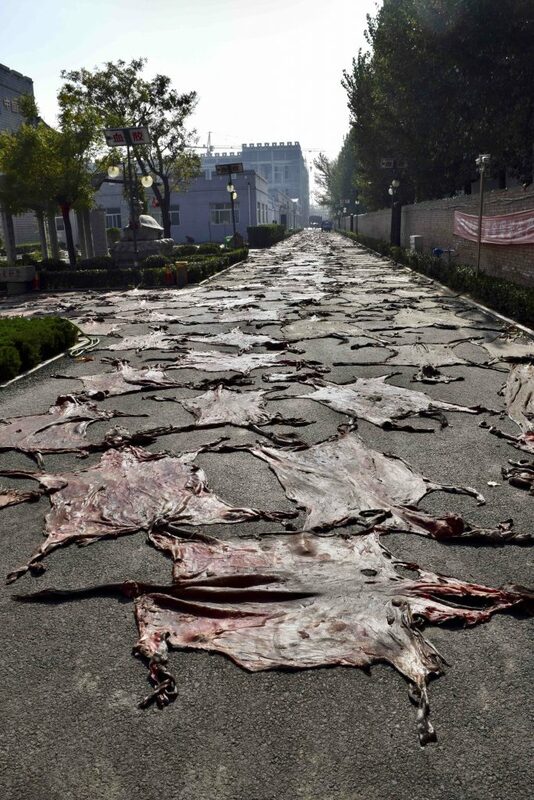 Skins of hundreds of donkey’s are drying in the street daily. Africa is losing it’s donkey’s in an alarming rate. From Kenya to Burkina Faso, Egypt to Nigeria, agents are seeking to feed China’s insatiable appetite for a gelatin they call ejiao. A product made from stewed donkey skins that purports to provide health benefits. 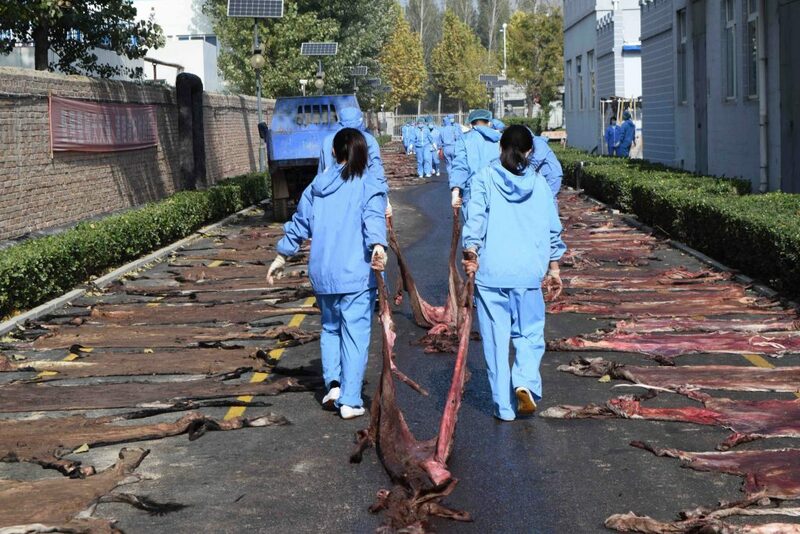 Shrinking donkey herds in China have driven ejiao producers to seek out donkey skins from Africa. But also from Australia and South America. This is threatening the world’s donkey population and driving violent crime and protests across Africa, the activists say. Kariuki founded a protest group “Tunza Punda Wako” or “Take Care of Your Donkey” in Swahili. They’ve picketed the abattoir in Naivasha, accusing it of driving the skin thefts. Fourteen African governments have banned the export of donkey skins, according to the U.K.-based animal welfare group Donkey Sanctuary. In Kenya, the donkey population has fallen in the past nine years by a third, from 1.8 million to 1.2 million. 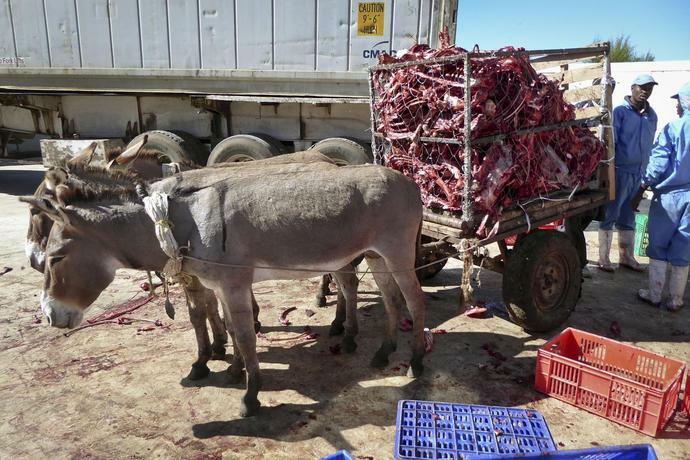 Kenya’s three licensed slaughterhouses butcher 1,000 donkeys a day to supply skins to China, said Calvin Onyango, program development manager of the Donkey Sanctuary Kenya. “We do not have many donkeys and most people do not want to sell their donkeys. So to keep supplying these slaughterhouses, we have ended up with businesspeople or brokers stealing other people’s donkeys to supply the slaughterhouses,” Onyango said. At the rate at which donkeys were being slaughtered meant that there could be none left in five years. From Kenya, the donkey hides travel thousands of kilometers (miles) to China. Many of them end up in an eastern town called Dong’e, where most of the world’s ejiao is made. A drone photo shows the main processing facilities of the world's largest donkey skin gel producer in Dong'e, China, May 15, 2018. The Dong'e Ejiao Corporation Limited, known by its Chinese initials DEEJ, has profited greatly as the Chinese middle class appetite for luxury goods like the gel rise with their purchasing power. Farmers raise hundreds of donkeys in metal-roofed dirt paddocks surrounding the town. Most donkeys at three farms The Associated Press visited were tagged with the initials of the Dong’e Ejiao Corporation Limited, or DEEJ, the nation’s largest producer of donkey gelatin. The company processes about 1 million skins a year and makes up 63 percent of the ejiao market, according to the Forward Industry Research Institute, a Chinese market research firm. DEEJ says in its latest annual report that its profits rose 10 percent to $313 million last year. DEEJ president Qin Yufeng declined to be interviewed but sent a statement to the AP saying ejiao has benefited more than 20,000 poor households in 1,000 towns. The remains of thousands of donkey's are rotting in the sun. Qin said the soaring demand for ejiao isn’t the reason that donkey populations are shrinking. Rather, fewer donkeys are being bred, he wrote, because they’ve been increasingly replaced by machines on farms. Guo Fanli, an economist in the southern city of Shenzhen, said Qin and DEEJ have inflated ejiao’s value. “By enriching the cultural meaning of ejiao, and overstating its actual effects, the company has successfully made it into a health product with multiple uses that can be bought as a gift,” Guo said. Still the surge in ejiao demand has driven the price of donkey hides up by nearly five times, from $78 per hide in 2010 to $ 405 in 2015, according to the Shandong Ejiao Association. Poor African farmers completely rely on their donkey's to make a living. China's made up medicine is a direct threat to their lives. China’s donkey population, meanwhile, has halved from 9.4 million in 1996 to 5.5 million in 2015, according to Chinese state media, driving producers to look abroad. In response to the surging demand, state-built donkey abattoirs have sprung up in the African nations of Namibia, Tanzania, Kenya, Ethiopia and Botswana. Niger’s hide exports tripled. Botswana slaughtered 3 percent of its total donkey population in six months, according the Donkey Sanctuary. More than 2 million of the world’s 44 million donkeys are killed for their skins every year, according to Donkey Sanctuary. In rural parts of western Zimbabwe, there are often more donkeys than cars on the roads. Farmers like the Chingodza family are resisting market pressure to sell their donkeys, vital for farm work and transportation to the biggest nearby town, Seke, about 40 kilometers (25 miles) outside of Harare. “I like my donkeys. They help a lot and are dear to me,” said Jeffrey Chingodza, 65, as he put a yoke on a donkey. “I won’t sell for export to Chinese abattoirs,” he said. His son 20-year old son Tawanda, however, said surging prices are tempting. “When you have a car and you get the first buyer saying ‘I will give you $3,000 for it and the second buyer says I will give you $6,000,’ what would you do?” Tawanda said. “I will definitely sell. All of us want money. Volgende verhaal China is Turning the Rainforest into Cheap Furniture for the U.S.